It’s tough; it can leave you feeling breathless, and sometimes it hurts! Yet millions of people around the world love running and the pleasure it brings. Going for a run can be an entirely enjoyable experience that provides clarity and frees your mind from distraction. Sadly, running can be a huge risk to your knees due to the high impact involved when landing. Bad knees caused by running can lead to chronic pain if left untreated for an extended period of time. While some people may prefer to treat their knee problems with medication and rehabilitation, others prefer to get running shoes that help sore knees perform better or even prevent the pain from occurring. If you’re part of the many people suffering from knee pain, then this review article is for you! Join us as we take a look at 4 of the best running shoes that can help with your bad knees. But before we continue, we need to understand what knee pain is and what causes it in the first place! Knee pain – what is it? Knee pain is a relatively common problem that can affect people of all ages, male, female, old and young. The location and the intensity of the pain can differ depending on a few conditions or circumstances. Because running is a high impact activity, whenever you land as you’re running, you’re transferring up to 3 or 4 times your body weights to your joints. Running also involves your knee as it is required to run in a straight line. When you’re always working out your knees like this, it can lead to increased/constant knee pain over time. Another way running can lead to knee pain is if you’re not used to physical activities that require you to use your legs. So, if you have been doing upper body focused exercises or workouts, you may not of experienced the involvement of the knee in your routine. Investing in a proper pair of running shoes can help to prevent injuries and also increase your overall speed. They are designed to sit your foot within the shoe and balance out your weight when running. That is why it is crucial for a runner to always have the right pair of running shoes for knee pain to prevent any injuries or any serious damage. The thing to note about running shoes is that they provide three things in general; support, cushioning, and protection. What to Consider when Picking the Right Shoes for Bad Knees? There are two distinct types of running shoes; the traditional running shoes and the minimalist shoe. Some runners prefer the minimalist running shoe, while others would rather go for the traditional running shoe. But the truth is both type of shoes can lead to injuries if they’re not the right fit for you. So what are the things you look out for when shopping for a new pair of running shoes for knee pain? Some knee pains arise due to lack of proper balance or problems with motion control. That is why the first criteria to consider when selecting a running shoe is to find one that’ll give you the needed support in all conditions. If you suffer from overpronation and underpronation, the first priority is to look for shoes with good balance features or you will be putting pressure on a certain area and cause more discomfort when running. Nobody would be happy wearing uncomfortable running shoes for extended periods of time and really why would you ever buy a pair of shoes that are uncomfortable? As running isn’t uncomfortable enough! The right type of running shoe is comfortable enough to ease a bit of the stress that would typically be transferred to the knees while running. Look for shoes that have to cushion based features and offer a nice made sole out of comfortable materials. Any shoe with terrible traction on the surface you’re meant to wear them on is just an accident waiting to happen. It’s like a car with worn-out brakes. You can drive but you are more likely to crash without them. The best type of running shoes for bad knees provides a sturdy grip over the intended surfaces they were designed for. Look at the bottom of the shoe to gauge the traction design and look on the manufacturer’s description to get more of a better understanding. What this essentially means is that they have to last long. Running shoes in this field can be costly and you want to ensure you can get as much use out of 1 pair as possible. You don’t want to be caught wearing a shoe that’ll fall apart in the middle of a run now do you? First, it’s increasing your risk of injuries which is the opposite of what it should be doing and secondly, it is a waste of money. Most runners that suffer from bad knees put ‘their money’ on the Nimbus 16 because of its superb cushioning and all-around support. The Nimbus 16 has an excellent ability to absorb significant amounts of shock and ground impact leaving your knees, legs, joints, IT bands, hips, and back feeling great after a run in this comfortable and supportive shoes. The Gel Nimbus 16 is also made for under-pronators as well as neutral runners. The upper is equipped with an excellent FluidFit system meaning the mesh can stretch for ways allowing for a personalized fit that’s snug like a glove. It also features an Exoskeletal Heel Clutch System that provides a much better heel fit and improved stability. The insides of the shoe are constructed from a breathable mesh lining for added comfort, and also, the insole can be removed, and it was contoured to give your foot a more comfortable fit. The midsole is so soft that you’ll end up thinking you’re walking on a cloud. This effect is achievable due to the inbuilt FluidRide technology which provides the perfect blend of cushioning properties and bounce-back. It also includes rearfoot and forefoot cushioning that provides impact absorption on heel strike as well as toe-off. To help alleviate Achilles tendon in the women’s version, the Nimbus 16 comes with an extra 3mm of added height in the heel. The Guidance Line on the outsole is a vertical flex groove created to give you a nice line of progression to help improve your gait efficiency. The Nimbus 16 then combines that with a Guidance Trusstic System to provide you a smooth transition all to help enhance your gait while providing your midsole with structural support. Heel counter to keep the heels perfectly in place. The upper part has a very nice fit. The soles tend to wear out quick. The foot section and toe box are extremely narrow. The Asics Gel 22 Kayano remains one of the best-cushioned running shoes for bad knees as well as for Anterior Cruciate Ligament (ACL) injury. This is a sturdy, well-cushioned running shoe that offers stability, comfort, padding and great support all combine to ensure you have a pain free running experience. Some of the features of the Gel 22 Keyano include the FluidFit that consists of a stretchy overlay around the entire shoe that allows it to wrap around your foot. The FluidFit allows the upper to adapt to the shape of your giving you a customized fit. It also features the FluidRide midsole, a two-layered midsole specifically designed to give your foot a soft underfoot feel and a responsive ride. The flexible performance is guaranteed to improve your gait giving your running form more efficiency. It comes with an Impact Guidance System to help enhance and control your gait. The Low Top Arch contains a measured support providing you with better support. It comes equipped with the FluidRide and FluidFit feature for a bounce back and a well-fitted shoe respectively. The Flex point of the foot is not always ideal. It is dependent on your foot size. The Brooks Beast 14 is a traditional running shoe that still effectively gives you breathability and support. It is one of the most favored running shoes for bad knees. Of all the shoes is the Brooks line, the Beast is the most stable and supportive shoe for them all. The beast 14 ensures that long runs or jogs won’t stop your legs, back, and knees from feeling great. It achieved this with the help of its great cushioning, extra support, and excellent stability that ensures less impact on ankles and knees. The beast 12 is ideally suited for the runner who over-pronates quite pointedly as well as those who need a lot more support for their body. One of the essential features of this particular shoe is the linear platform that offers fantastic stability and support from the ground up. Also, it also provides support to the medial side. It is nice and passes straight through the arch, unlike other running shoes for knee pain. This flat nature gives a lot more support for your midfoot particularly if you have a very flat type of fee or perhaps you just want the added support in your daily walking and running exercise. The Brooks Beast 14 has an asymmetrical saddle passing through the midfoot that stretches and hugs your foot ensuring that it is locked inside the shoe. This feature gives those with flat feet that typically experience issues with depth in their midfoot a much more comfortable running experience. It matters not if you’re a heavy or light stepper in your shoes, the Brooks Beast 14 can provide the right cushioning that is needed for your run. So whether you’re heavier or lighter in your shoes, the Brooks will provide the cushioning you need for your run. Great arch support particularly for those with weak arches. It helps to heal plantar fasciitis as well as other running-related injuries. The mesh and rubber sole features make it a very simple yet effective running shoe. It is not a very durable running shoe and can break down with a month or two of constant use. The Mizuno Wave running shoes are one of the most detailed running shoes on the market, at least when it comes to designing. The Inspire 12 comes with a strobe board and a breathable upper mesh that keeps your underfoot well cushioned and is useful in airing out any developing foot odor. The Double Fan Wave Technology helps in keeping your feet flexible, odorless, and it also reduces the chance of you developing an injury. Includes a 12mm heel-to-toe drop for pronators. Comes with a strobe board that provides a cushioned underfoot. It also includes a Double Fan Wave technology that helps to make your running experience both odorless and flexible. The arch can be inconsistent from one shoe to another. Getting enough sleep is good to help repair a damaged knee when during treatment. 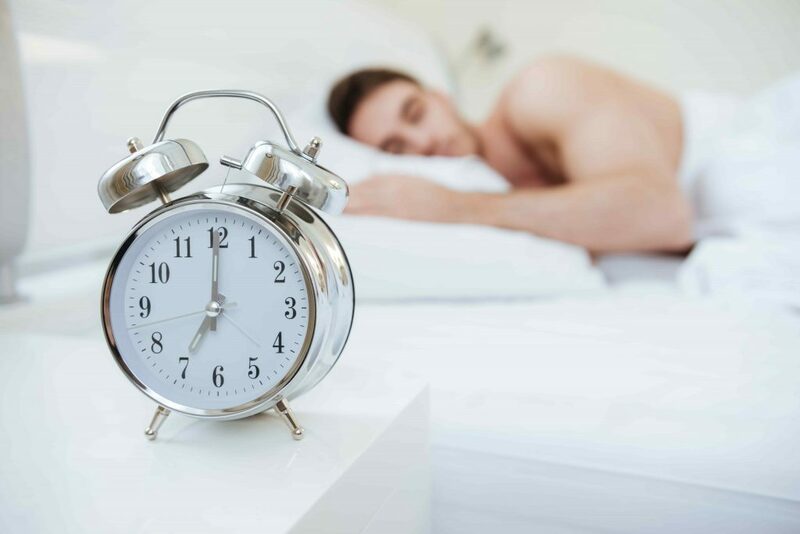 Your doctor may have advised a sleeping schedule to best serve your treatment. While working on rehab for the injury, you should also try and keep fit through vigorous upper body workouts, biking – if you can carry it out without triggering the pain – and pool running. A relatively common source of knee pain is inflexible or weak quads. By increasing your flexibility and strength throughout those areas, you’ll help to reduce the pain. Also, it will contribute to improving your form once you get back to regular training. Deadlifts are a great way to exercise them! But be careful, too much use of the knee when using weights could do more bad than good. Another cause of knee pain is poor running form. A good way of improving your style is to have someone – say a friend – record you as you run toward a camera. This gives you a different perspective on the way you run and allows you to notice mistakes and errors you weren’t even aware you were making. Consider running on your forefoot rather than your heel as it has been found that you will reduce the impact when landing. And concentrate on regaining a proper form, or you could hire a professional coach to help retrain you. If special running shoes don’t make a difference towards the pain in your knees, then you may want to look into getting orthotics. This motion-control shoe provides arch support that helps with over-pronation! Molds of your feet in different position are first taken to know the specific positions that spark the pain. These patterns are then used to create insoles that can better align your ankles and feet and hopefully stop the pain for good! 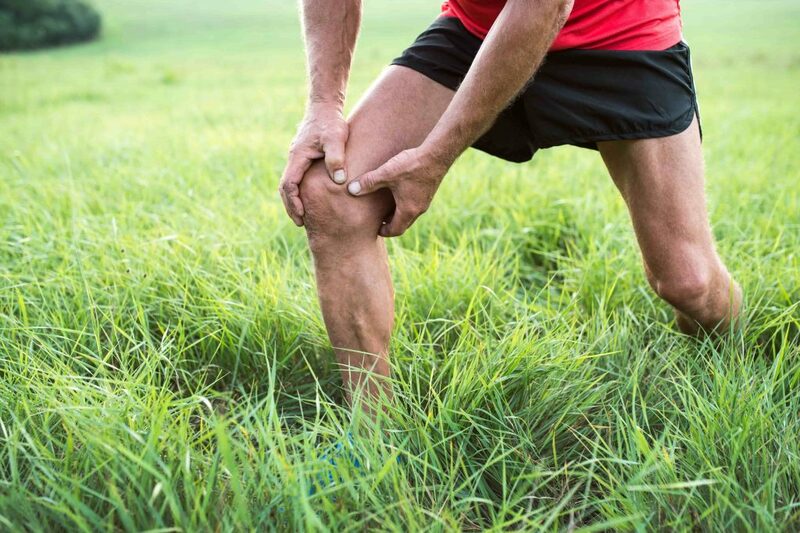 When you experience pain in your knee when running you may hear a term called ‘runners knee’ which is a vague term to describe a multitude of problems associated with knee pain. From all the way to your feet and to your bones, there are many reasons why knee pain occurs in runners and everyday people. When you are exercising a lot, especially when you require to bend your knees, you are most likely doing too much exercise that causes your knee to ‘wear out’. Doing intense, high weight exercises like lunges, squats, and deadlifts are the kind of exercises that require the knee to execute the movement fully. Doing too much of these exercises will get the tissue around the knee to break and deteriorate over time. I suggest you reduce or keep in moderation any exercises that require the knee to perform the said exercise. Bones that are misaligned can cause to you to feel pain in your knee. Bones between your hips and ankles are the common areas where misalignment causes knee pain to occur. When you run with an ‘out of place bone’, you are putting more pressure on a certain area than normal, which causes the knee to not move through its groove smoothly. This is when is experienced. 1 Knee pain – what is it? 2.2 What to Consider when Picking the Right Shoes for Bad Knees? 9 What are the main causes of knee pain?